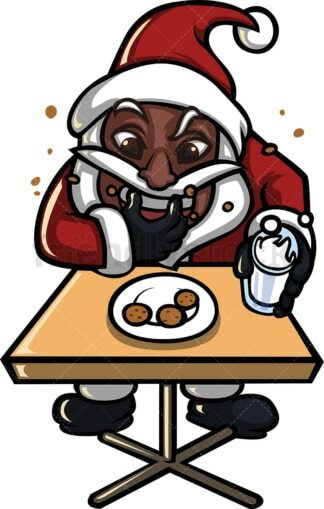 Royalty-free stock illustration of a black Santa Claus sitting on a table impatiently devouring cookies and drinking milk. 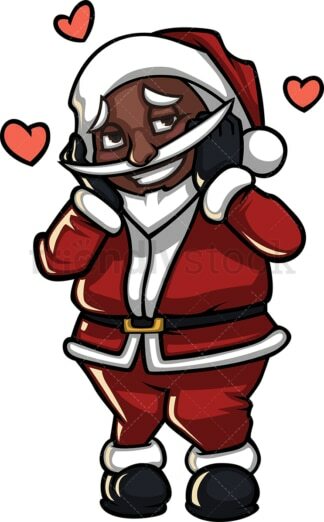 Royalty-free stock illustration of a shy black Santa Claus feeling in love and blushing a little bit as he smiles foolishly. 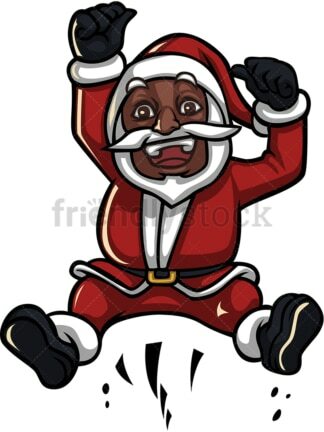 Royalty-free stock illustration of a groovy black Santa Claus smiling and dancing in a funny way. 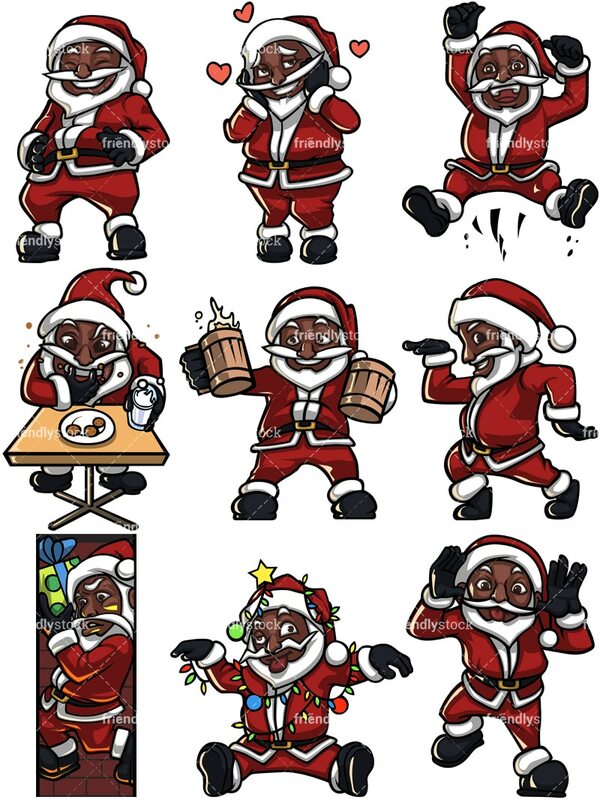 He’s got some nice moves – quite the dancer! 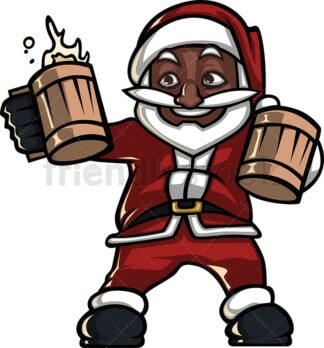 Royalty-free stock illustration of a black Santa Claus sticking his tongue out and raising his eyebrows as if he is teasing someone.